I am fortunate enought to have just become an owner of a Catalina 36 MK2 which is a dream come true. Unfortunately at one point in its life it has had an incident which resulted in the mast being removed and unrecoverable. I have found another mast which i am told will fit and the previouse owner of the boat has measured however i would just like to see if anyone on here is able to confirm or knows of any reason i should not go with this particular mast. This mast has just been removed from a Swan 36. Keel stepped double spreader rig. 177mm x 124mm cross section. i am completely new to this so please let me know if you need any more info. I don't have an answer for you at the moment -- not close to the boat at present, otherwise I'd take some measurements for you. But at the risk of being seen as an imperial measure chauvenist, however, I'd offer the suggestion that you might want to consider editing your post to also include the measurements in feet and inches. I sat this only because my sense is that the great majority of users on this site reside in one of the three remaining nations that (for some inane reason) have yet to adopt the metric system (Myanmar and Liberia being two of them). So they don't "think" metric, probably don't have metric tape measures on their boats, and may be less likely to get out their calculaters and do the conversions to imperial measure in order to help you out. Regards -- and welcome to the C36IA! You rig would be a bit short. 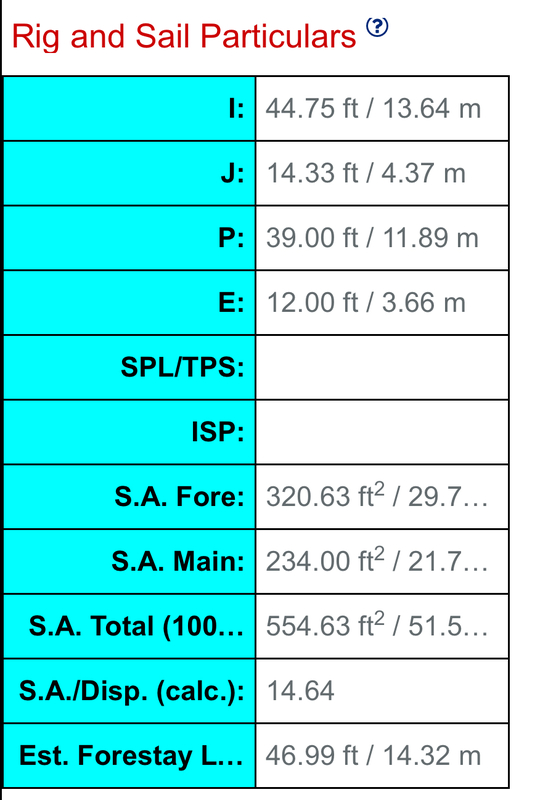 Here is the measurements from sailboatdata.com I also believe that the 36 was a single spreader rig suggesting that your mast section may be more bendy than the stick Catalina provided. it looks like i will keep on looking for a replacement mast. I would like it as original as possible so this one will not work out. s/v " Red Dog "
Russ have you tried consulting with a RELIABLE rigger? You might give that a shot. Hi Bill, Thanks and yes just spoken with a rigger regarding the consensus is the same so will look into getting one made. Since you're already going through the expense, everyone I've spoke when that had in-mast furling absolutely loved it. Might be something to consider since you're already getting raked over the coals. Thanks for the info Chic, im talking to a couple of suppliers at the moment and getting prices, ill be sure to reach out once i have something set.